By the mid-50s,`jet aircraft had become robust machines which had obtained sufficient combat experience for the next step into a fundamentally new age: the era of supersonic speed. 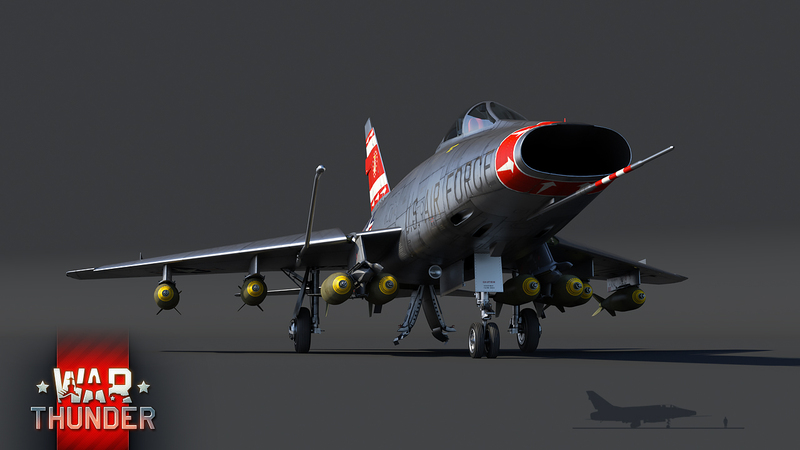 Supersonic fighters were developed by both of the main opposing nations of the Cold War. 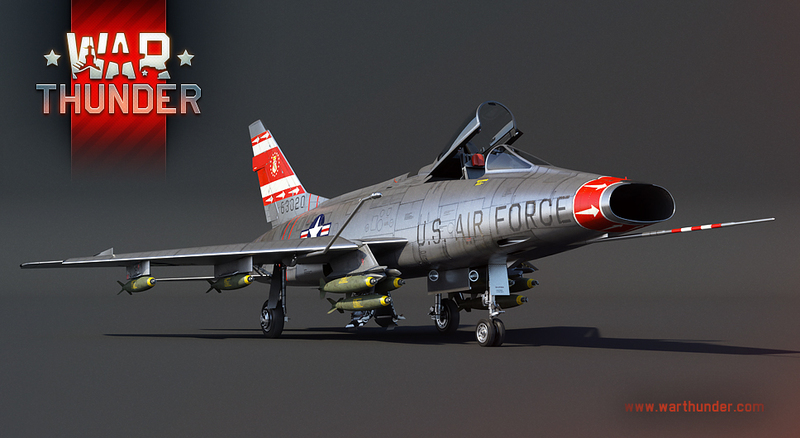 In parallel with the development of the MIG-19 in the USSR, American aircraft designers were putting the finishing touches on their own design for a supersonic fighter. 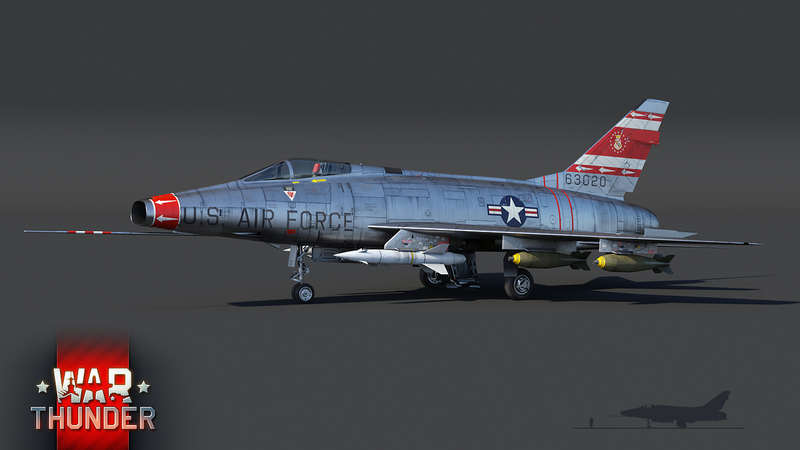 The F-100 Super Sabre entered serial production somewhat later than its Soviet counterpart, but it needed just as many improvements and upgrades. 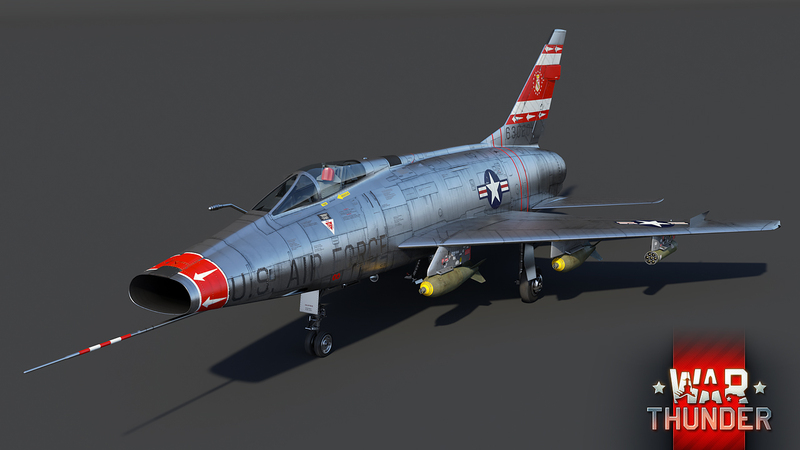 In War Thunder, the F-100D Super Sabre will be the first supersonic fighter of rank VI in the American air force research tree. Its very high speed when flying horizontally, and excellent rate of climb, by no means suggest that the F100D can only fly straight, however, its enhanced controls and increased fin area make this aircraft quite obedient and pleasant to fly. The fantastic flying ability of this new top aircraft is supported by excellent weaponry. Four high-speed 20mm M-39A1s with 200 rounds per gun are installed in the Super Saber’s nose section. 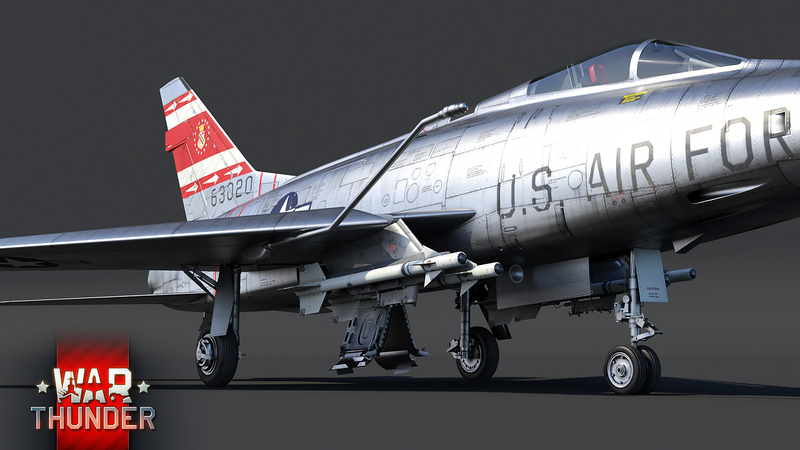 This is an upgraded version of the FMC T-160, a gun that should be familiar to War Thunder pilots from the F-86F-2 fighter. Its excellent accuracy, low recoil, and extremely high rate of fire make this the best aircraft gun in its class; just keep an eye on your remaining ammo. 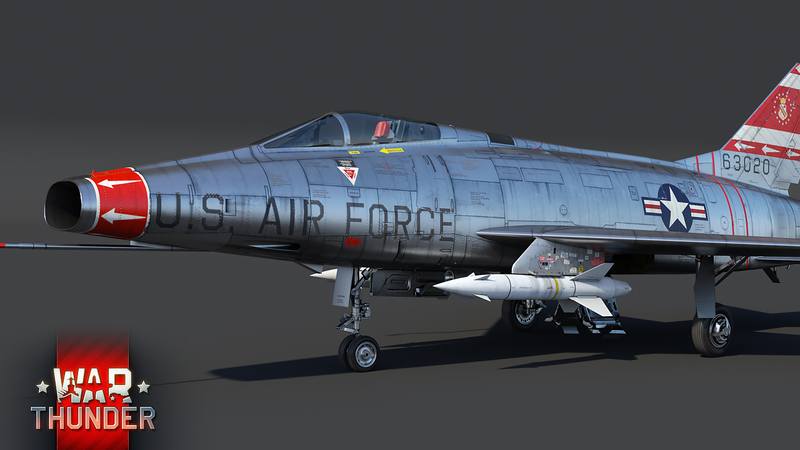 The F-100D’s suspended armament is another story. In-game, we’ve selected ten loadouts made up of 500-, 750-, and 1,000-pound high-explosive bombs, unguided Hydra-70 rockets, guided AGM-12 Bullpups, and something entirely new to the game: guided air-to-air AIM-9B Sidewinders. These infrared guided missile will follow the target’s thermal signature, which allows pilots to engage and destroy any airborne target that produces enough heat in flight to be targeted. In practice, this means that a War Thunder pilot can target any jet aircraft, helicopter with a turboshaft engine, or certain piston-engine models with a Sidewinder, and be pretty confident about the results. 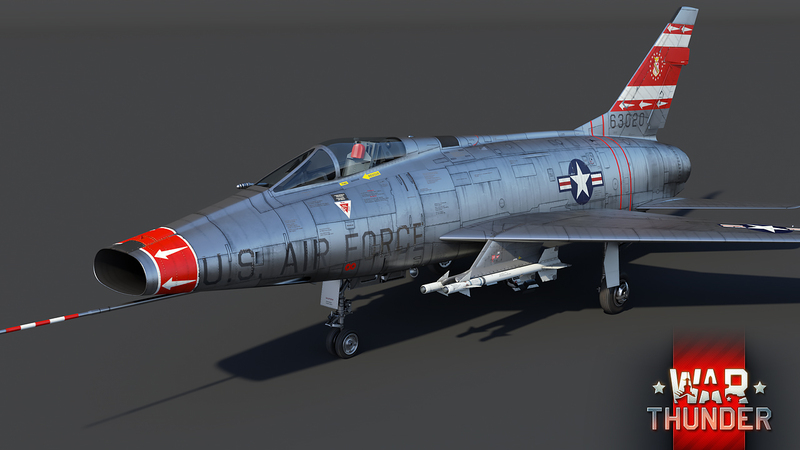 The F-100D Saber will be available to all War Thunder players at rank VI in the American aircraft research tree as soon as our huge 1.85 “Supersonic” update launches. Welcome to the supersonic era! ‹ PreviousWar Thunder: Jet Packs!